The office Christmas party degenerates to a kidnapping mediation and an emergency assist for Tom who's in serious trouble at a trial. The team tries desperately to exonerate a boy accused of crucifying a tormentor. When a young mother is killed on a roller-coaster ride, Ron Trott sees an opportunity to go after corporate game... and his nemesis, the defending attorney. Justice is a British legal drama starring Robert Pugh as Judge Patrick Coburn. The first episode was originally broadcast on April 4, 2011 on BBC One. Frank Sinatra's "This Town" is the theme song. Ron Trott: [Ron Trott speaking opening theme narration] "Like I always say... If you've got the right lawyer with you, we've got the greatest legal system in the world." A crack team of defense attorneys, including a media manipulation expert played by Victor Garber, the requisite young hot-shot attorney played by Kerr Smith and the model-esquire female attorney trying to restrain the guys played by Rebecca Mader ("Starved") , defend the rich, famous, and scandalous in LA. After the trial concludes we will see a flashback that shows if they really are innocent or got away with murder. David E. Kelly's memorable "The Practice" for all of its eventual wallowing in whoa-is-me melodrama was great at delving into the psyche of a defense attorney and the emotional baggage that comes with a job that when done right can set a murderer free. 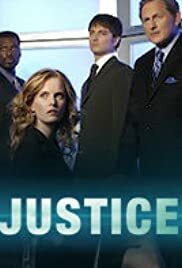 Under the eye of producer Jerry Bruckheimer, "Justice" reshapes the defense attorney with the "CSI" template and a cast of TV veterans that needs no introduction. The stories are self-contained, the characters are only superficially attended to and there is plenty of blood, gore and that trademark "CSI" visual flair. The show looks damn good and a few creative visual tricks keep it moving at a pace so smartly quick that "Justice" can actually work as a passable guilty pleasure watch the first time or two around. That novelty quickly wares of as it did with "CSI" for me long ago. 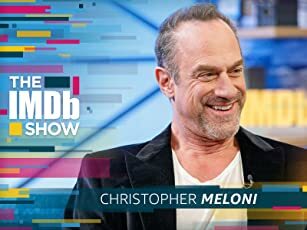 There is a place for this show's premise, which updates the "Law & Order" process of building and delivering a case for the technologically-advanced, media-dependent new millennium. These lawyers look like they have better technology and more resources to defend the guilty than the cops actually solving the crimes. The way Garber's character doesn't just manipulate the media, but relies on that manipulation as part of his case to get a message to the jury pool would  in the right hands - make for sweet revenge satire toward that Nancy Grace/Greta Van Sustren niche of the media that has become crime-obsessed. The potential audience-grabbing gimmick of "Justice" is that ending in which we learn the truth about what happened in the case. But in most of the few episodes that aired, that ending is exactly what you're expecting, either what the defense guessed or what the prosecutors said. No surprises here, no creative, outlandish "Holy cow" twists. Despite a snappy, cracker-jack performance from an always good Victor Garber and a welcome callous look at lawyers after years of sympathizing with them, "Justice" is still yet another reincarnation of Bruckheimer's brainless, eye-candy crime formula. Not bad, kind of fun to fix your eyes on, but nothing special either.